Amphibians are cold-blooded, smooth-skinned animals from the Chordate Phylum. This class of animals includes frogs, toads, salamanders, and newts. Some live on land and some in the water, but most species return to the water to mate and lay eggs. You can see many amphibians in the Unseen New World at Nashville Zoo. 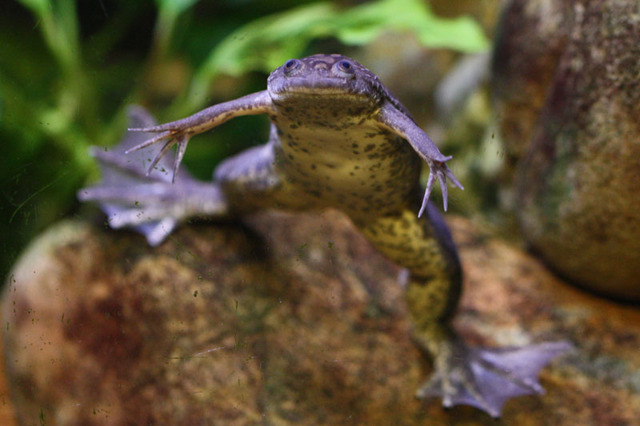 African clawed frogs are native to parts of Africa but they have become invasive in many areas including the US, Britain, and Chile largely due to the pet trade. Their name comes from three short claws on their hind feet that are used to stir up mud to hide from predators. African clawed frogs are scavengers and will eat almost anything they see including arthropods, larvae, water insects, crustaceans, small fish, tadpoles, worms, and snails. The tadpoles are filter feeders. African clawed frogs are very adaptable and can lie dormant in dried ponds for around a year. They are very useful in laboratory research due to the amount of eggs they can lay. You can see our African clawed frogs in Unseen New World. Axolotl were found in the high altitude lakes of Chalco and Xochimilco near Mexico City, Mexico. 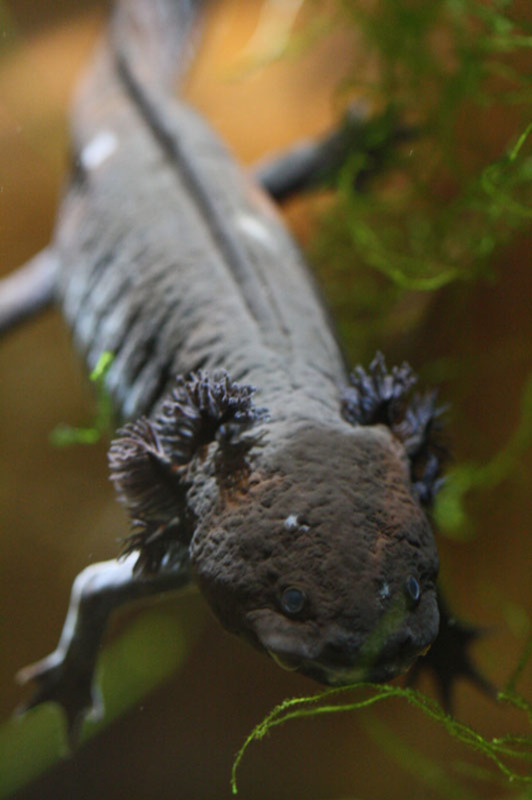 Axolotl were the top predator in their habitat, however they are now critically endangered due to the increase of predatory fish and the disappearance of Lake Chalco. Axolotl breed from March to June. Females will deposit 100-300 eggs on hard surfaces in water and they will hatch 10-14 days later. The species retains certain characteristics of their larval stage even when they are fully mature adult salamanders. You can see our axolotl in Unseen New World. The blue poison arrow frog is one of more than 100 species of poison arrow frogs that come in a variety of colors and patterns. These bright colors warn potential predators to stay away. 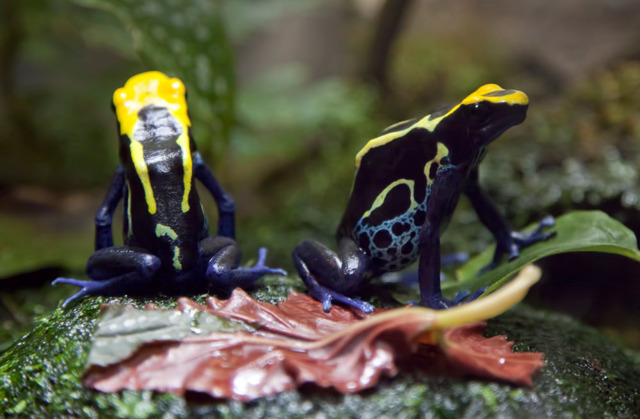 Poison arrow frogs got their name because several tribes in Central and South America would use the poisonous secretions of the frogs to poison their hunting arrows. After mating, a female poison arrow frog will lay 2-6 eggs and both males and females take care of the eggs, which includes keeping them moist and protecting them from predators. Once they are old enough, the male frog will guide the tadpoles on his back to a stream or small pool where they develop into baby frogs. You can see this poison arrow frog along with other species of poison arrow frogs in Unseen New World. The largest salamander in Tennessee, hellbenders can be found in the eastern two thirds of the state. Hellbender populations have gone through dramatic declines across their range over the last 20 years and are now a candidate species for endangered status listing. Hellbenders will spend their entire lives in water. They prefer cold fast moving water with high levels of oxygen due to the fact that 95% of their oxygen is absorbed through their skin. Their tiny eyes can detect light but are not very good at forming images. Hellbenders are solitary nocturnal animals who spend the daytime hiding under rocks. A meeting between two hellbenders will usually result in a fight between them. You can see our hellbenders in Unseen New World. 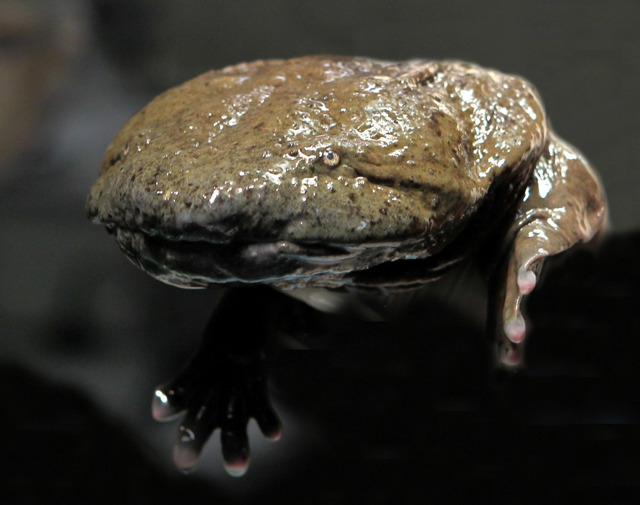 Nashville Zoo is leader in hellbender conservation. We operate a Hellbender Conservation Program and participate in other state conservation initiatives. 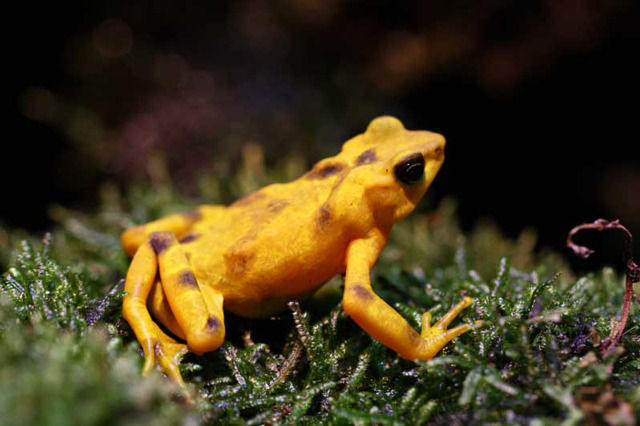 We participate in the Panamanian Golden Frog Species Survival Plan®. The Puerto Rican Crested Toad is the only toad native to the island of Puerto Rico. It makes its home on the northern and southern coasts of the island. Mating usually happens during the rainy season and eggs are laid in pools of water, streams, or small dams. The Puerto Rican Crested Toad was the first amphibian placed on a Species Survival Plan (SSP) due to rapid population declines because of the invasive marine toad that was introduced to Puerto Rico in the 1920s. Nashville Zoo has sent thousands of tadpoles to the island for reintroduction. 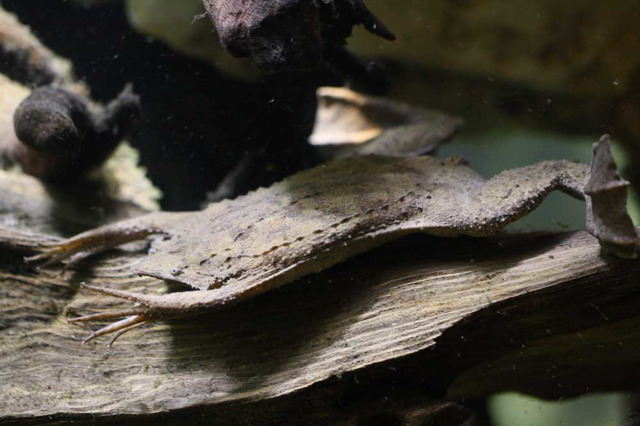 You can see our Crested Toads in Unseen New World. 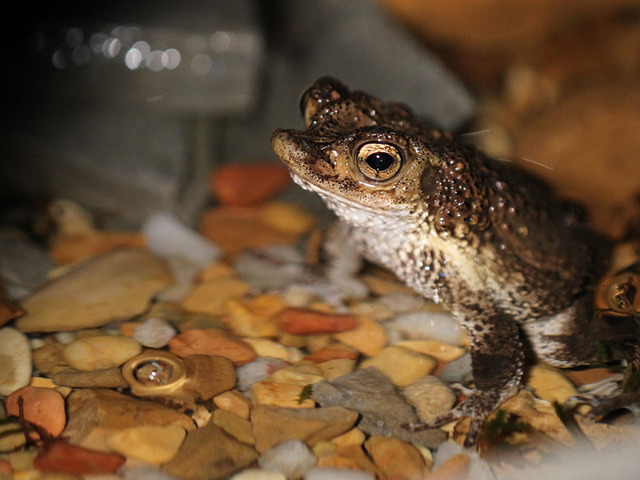 Nashville Zoo has been involved in Puerto Rican crested toad conservation since 2012 and participates in the Puerto Rican Crested Toad Species Survival Plan®. Although named the Surinam toad, they are actually frogs. You might mistake them for a leaf or a rock, and that’s the point! When prey swim near them, the frogs lunge forward, swallowing their prey in one gulp. These fully aquatic frogs have an interesting reproductive strategy. The pair do somersaults in the water where the males fertilize the eggs and drops them onto the female’s back, where they are completely covered by her skin after a few days. The offspring hatch under the skin where they remain for 3-4 months when the frogs burst out of the mothers back! The Surinam toads can be seen in Unseen New World.